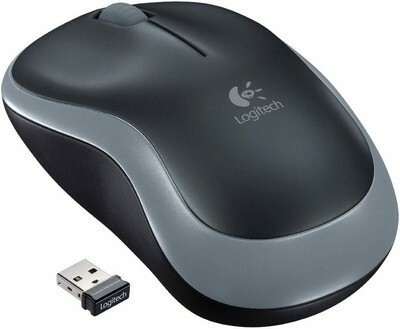 If you are looking for a decently priced wireless mouse that performs efficiently, then the Logitech B175 Wireless Mouse is an ideal choice. 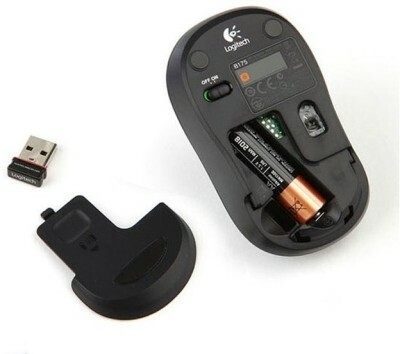 This mouse is compact and the contoured shape makes it easy to hold it in your hand. It features two buttons that help perform the various functions. Also, it comes with a plug and forget nano receiver. Enjoy a powerful wireless performance with the advanced 2.4 GHz connection. Save electricity with the On/Off switch and smart sleep mode key. This wireless device comes with Logitech's reliability and durability, so you can be rest assured that it performs efficiently for a long time. It runs on an AA battery which easily lasts for a year.